Congratulations to NIMBioS Associate Director for Education and Outreach Suzanne Lenhart who has been named a James R. Cox Professor at the University of Tennessee, Knoxville. A professor of mathematics, Lenhart has been affiliated with NIMBioS since its founding in 2008. The three-year Cox award will provide Lenhart with a stipend of $25,500 to support her research. Lenhart is an applied mathematician with research publications spanning several areas of biology including HIV, TB, bioreactors, bioeconomics, cardiac function, population dynamics, disease modeling, and resource management. Cox recipients are chosen by a committee for their excellence in teaching, scholarship, and service. Lenhart follows in the footsteps of other NIMBioS leaders who have earned the honor, NIMBioS Director Emeritus Louis Gross and NIMBioS Associate Director for Postdoctoral Activities Paul Armsworth. 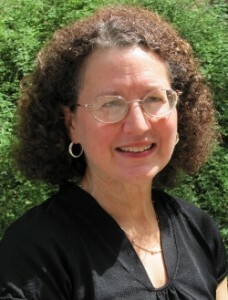 Visit http://tntoday.utk.edu/2016/04/04/ut-honors-mathematician-suzanne-lenhart-cox-professorship/ for the UT press release.